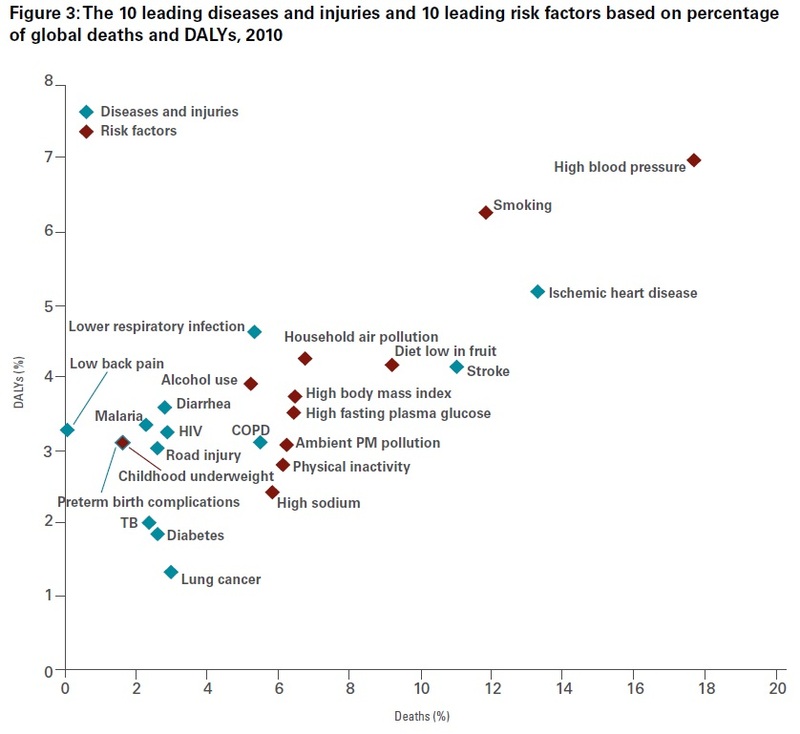 What are the world's biggest health problems and risks? The Global Disease Burden study, a collaborative project that in its most recent version includes 488 co-authors from 303 institutions in 50 countries, tries to answer that question. A nice summary of some of the results is available from the Institute for Health Metrics and Evaluation at the University of Washington in its report "The Global Burden of Disease: Generating Evidence, Guiding Policy." There are perhaps two main ways to measure health effects. The simpler one is how many deaths are caused. A more complex one uses DALYs, or "disability-adjusted life years," a measure that was first developed in the first Global Disease Burden study in the 1990s, but has become common since. It seeks to measure how many healthy years of life are lost: thus, if someone's health is injured, there is a cost in DALYs even if their life expectancy doesn't change. Of course, if their health is diminished and life expectancy falls, too, the cost in DALYs is greater. 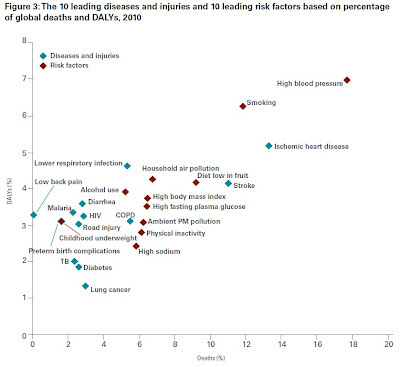 Here's a figure showing the top 10 leading diseases and injuries on a global basis, shown with blue diamonds, and the top 10 risk factors for for deaths, shown with brown diamonds. The horizontal axis shows their cost in deaths in 2010. The vertical axis shows their cost in DALYs. Thus, "Low Back Pain" among the top 10 diseases and injuries based on DALYs, although it is not a direct cause of death. Lung cancer and diarrhea cause a similar number of deaths, but diarrhea is far worse in terms of DALYs. 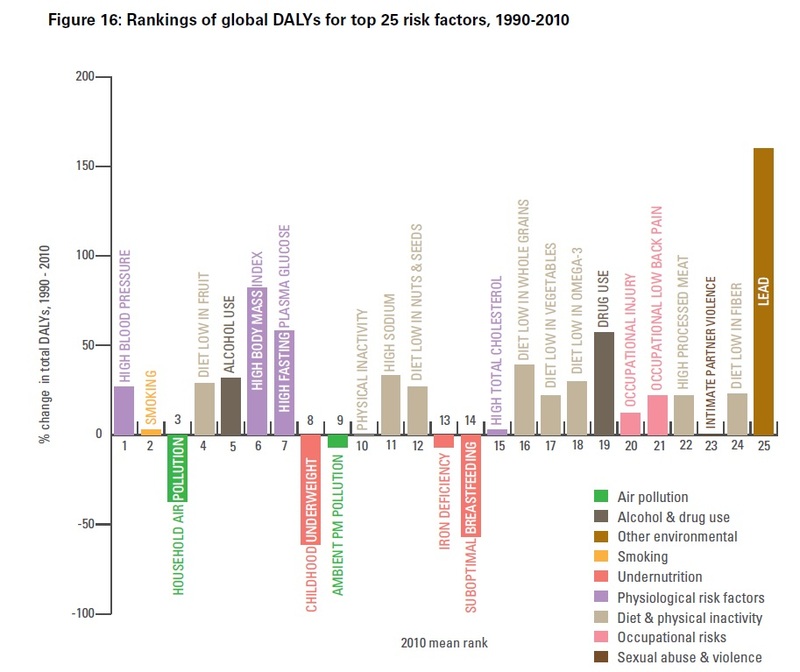 A few of the high risk-factors that jump out at me as being a little unexpected to find in the top 10 are "Diet low in fruit," "Household air pollution," and "High sodium." 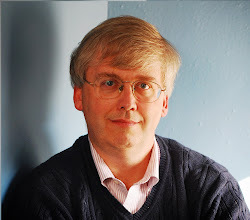 What problems are getting better, and what problems are getting worse? 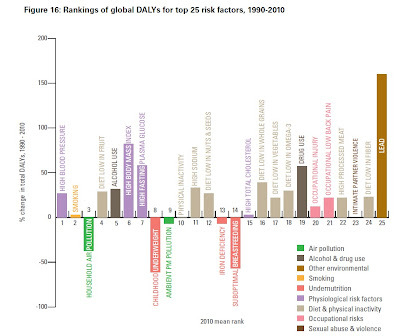 Here's a figure which lists the top 25 risk factors, from left to right. Thus, in keeping with the figure above, the first five are "High blood pressure," "Smoking," "Household air pollution," "Diet low in fruit," and "Alcohol use." However, rather than showing the level of health damage done, the figure shows how the level if injury changed from the 1990 data in the first Global Disease Burden study to the 2010 data used in this study. Clearly, the three big success stories in the last two decades in terms of reduced DALYs are a reduced health cost from "Household air pollution," from "Childhood underweight," and from "Suboptimal breastfeeding." Among the rising problems, the world is managing to combine a rising number of DALYs from "High body mass index" with people having health problems from "Diet Low in Fruit," "High sodium," "Diet Low in Nuts and Seeds," "Diet low in whole grains," "Diet low in vegetables," "Diet low in omega-3," "High-processed meat," and "Diet low in fiber," not to mention "Smoking" and "Alcohol." In short, a large share of the world's health risk factors, and a large share of the problems that are getting worse, have to do with what people are putting in their mouths.